NSF Splitter is a much-needed application for users working dependently with IBM Notes. The overgrowing size of NSF database can be controlled by splitting it with NSF splitter tool. The application features multiple modes for splitting a Notes database for a convenient user experience. Notes databases can be split with this application to get a well-organized and manageable output. NSF file splitter software is programmed to support databases of any given size for splitting purpose without coming across technical glitches. Different modes of the splitting database are featured by the software for rendering a suitable solution to all user types. It is possible to split NSF files via the specified size, perform folder-based division, or generate year/date wise archives with the tool. The NSF Splitter Software supports different types of database sizes. You can process IBM Notes database of any given size for splitting purpose. 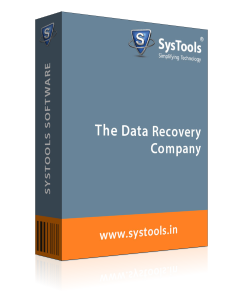 There are no limitations imposed on the size of the database being processed by the software. In order to widen the prospects of having a manageable storage for users, the NSF Split Software features support for Domino database too. You cannot only split a Notes client database but also make a Domino Server end database manageable. 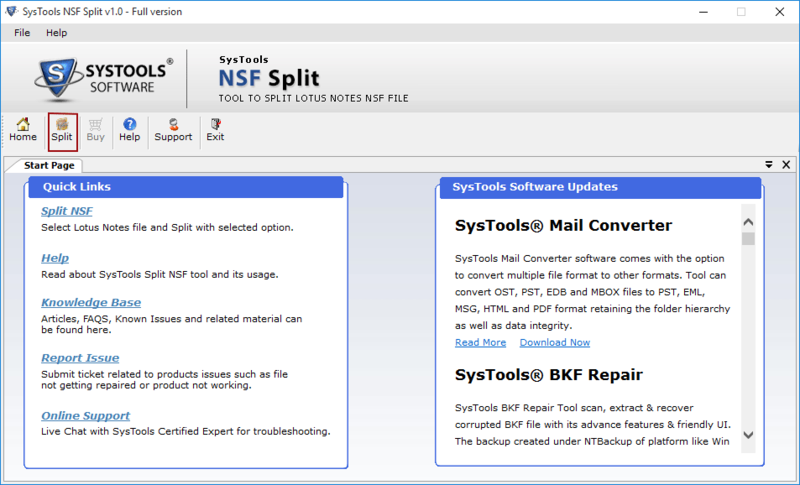 NSF Split tool is capable of supporting the customized division of protected Notes databases. Once a protected database is successfully processed, the tool asks for its respective password. Providing this enables you to split a password database. Once the NSF Splitter Software has finished processing a Notes database splitting, it reports the entire procedure and generated output. A detailed report is automatically generated by the software for future reference to be made by users just in case it is required. Q. 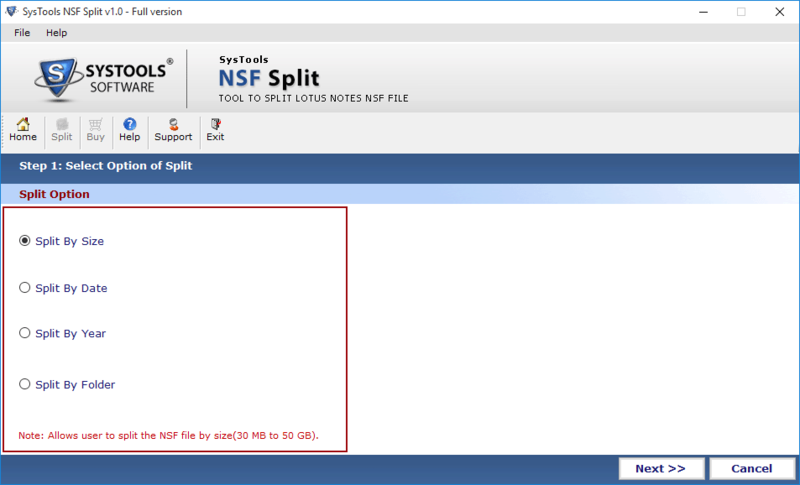 What is the easiest way to split NSF file of Lotus Notes application? Ans: Using NSF Split is a recommendable solution to perform database splitting in the easiest of manner. The application enables splitting a Notes database of any type and size into multiple parts with different modes of splitting. The modes of splitting database enhance the output generated and increases user convenience. Instead of going with lengthy and repetitive manual approaches, it is better to go with an automated and minimally priced application. Q. How to deal with increasing database size in Lotus Notes client? Ans: If there were any other solution to manage size related issues with NSF, then using NSF Split would be an intelligent selection to make. There are plenty of similar applications that are available in the market however, none like this. How to Split NSF using the Product? Step 1: Open NSF Splitter Tool, Go to Start button » All Programs » SysTools NSF Split Software. Step 2: From the Initial window Click the Split option. Step 3: You can see into the next screen, it will give you the four options to split NSF. Step 4: You can split your NSF file according to Size , Year, Date , or Folder as shown below.Select the appropriate option to split or divide the NSF file. Split by Size – This option splits NSF file according to the size given by you. The standard will be the split NSF is 30MB to 50MB. Split by Date – In this option, you can partition the NSF file according to the selected date range. For e.g. you can divide the NSF file on the basis of selected date or month. You can also split any previously dated NSF file. Split by Year – With the help of this option you can divide the NSF file by year. For e.g. you can split an NSF file in between two years, FROM & TO are two parameters that are required to fix a year range to split the NSF file. Split by Folder – This option is useful to break the NSF file via folders like Inbox, Outbox, Sent Items, etc. Every folder is recreated to a new NSF file.